A true story of two families in New York and Ohio linked by betrayal, sordid secrets, and the decades-old murder of an Olathe, Kansas banker. It was 1982 when David Harmon, a gentle and well-liked member of the Evangelical Christian community in Olathe, Kansas, was bludgeoned to death while sleeping. The force of the blows crushed his face beyond recognition. Suspicion quickly fell on a pair of exemplary citizens: David's wife, Melinda, and David’s best friend, Mark Mangelsdorf, student body president of the local bible college. But when the long arms of the church came to their defense, no charges were pressed. Some twenty years later, two Olathe police officers revived the cold case and made startling revelations that reopened old wounds within the Olathe community. They also rocked the two well-heeled towns where Melinda and Mark now lived separate, successful, law-abiding lives. Melinda was a devoted wife and mother of two in suburban Ohio. Mark had become a Harvard MBA, a high-paid corporate mover and respected family man, in Pelham, New York. Then, in 2001, Melinda and Mark both received a knock on the door. 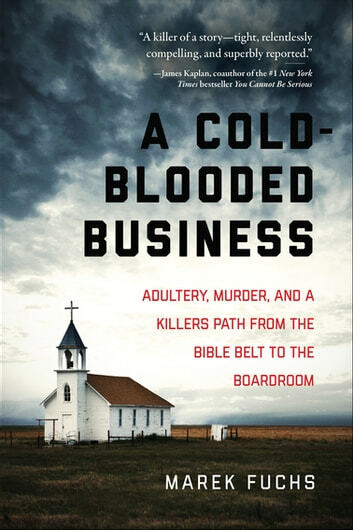 With “a breakneck pace…maintained right up to the final pages” (Kirkus Reviews), A Cold-Blooded Business is “a killer of a story—tight, relentlessly compelling, and superbly reported”(#1 New York Times bestselling author James Kaplan).